Would you like to join a friendly Woodland Working Group at Liverton Copse? We are looking for several volunteers to assist with practical conservation tasks at this attractive woodland. Liverton Copse is secondary, high forest woodland planted with mixed broadleaves. Ground flora is varied and includes frequent primrose and dog’s mercury, as well as bluebell, dog violet, and moschatel. 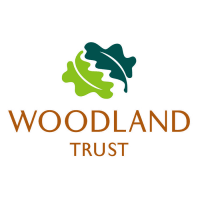 Our volunteers help us to protect, restore and create woodland for people and wildlife.